PLEASE CONTACT THE GALLERY FOR PRICING. Photographer's signature stamp verso. A romantic image in the classic pictorialist style by Czech photographer Stanislav Konecny (b. 1908). Konecny photographed from 1930s continuously until the end of the 1960s. His photographs were shown in many photographic exhibitions and published in photographic magazines. Early on, he was influenced by the avant-garde style. His work centers on the Czech landscape, Prague, the sky and the use of unusual technique. Very good; minor mar and missing emulsion spot upper left quadrant. 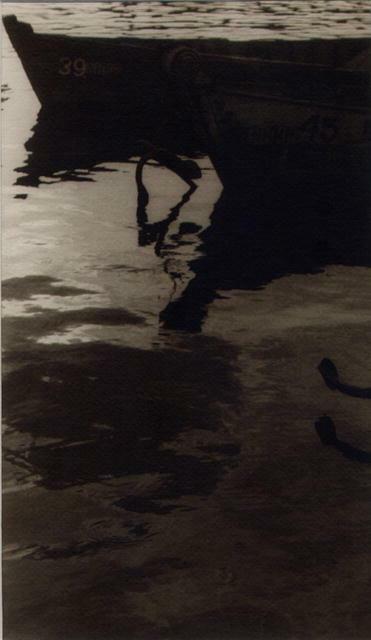 Items Similar To "Untitled (Boat Reflection) - Czech modernism"